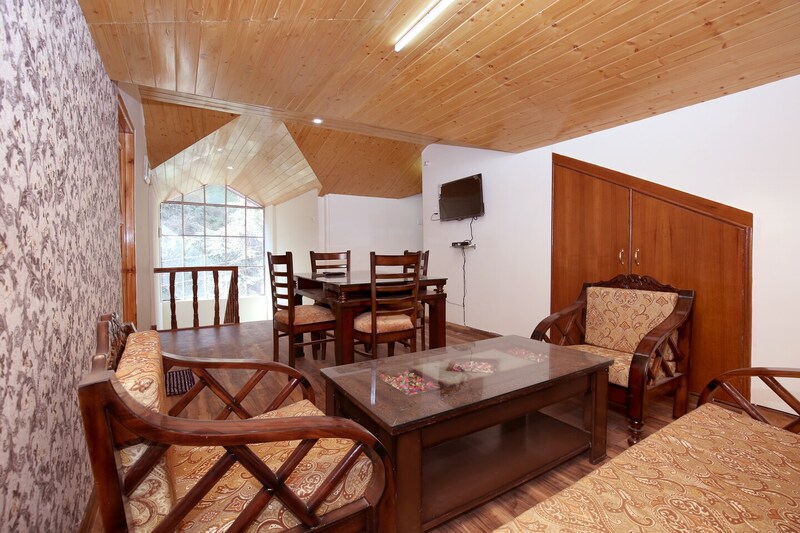 Located in the heart of Shimla, OYO 10084 Home 2BHK Wooden Cottage Bhattakufer promises a great experience to the guests at affordable rates. The well trained and friendly staff of OYO maintains the property and ensures your stay is smooth. Our rooms are tastefully furnished and offer amenities like Geyser, Mini Fridge, TV and a lot more. Take a tour of the Shimla and explore key attractions like Laxmi Narayan Temple, Gurudwara Sahib and Bhagwan Shri Kalki Mandir. There is SBP ATM, State Bank ATM and Canera Bank ATM nearby the hotel so you are never out of cash.